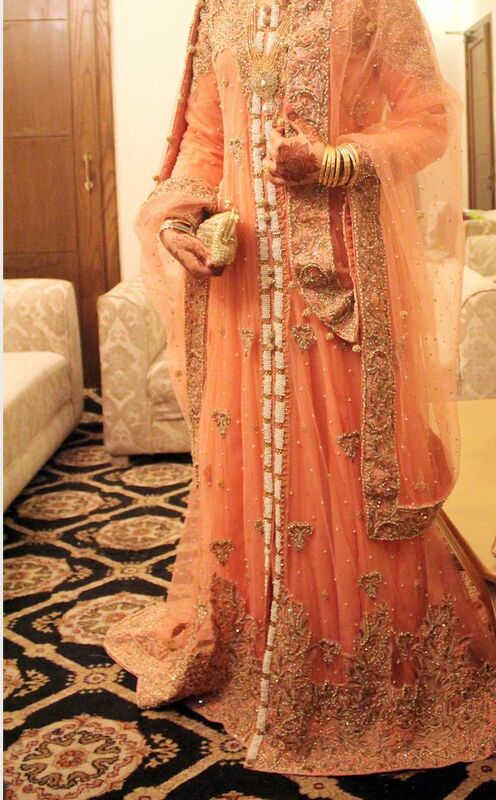 Recently made Bridal dress according to latest trends, worn only once for a few hours, and in excellent condition. 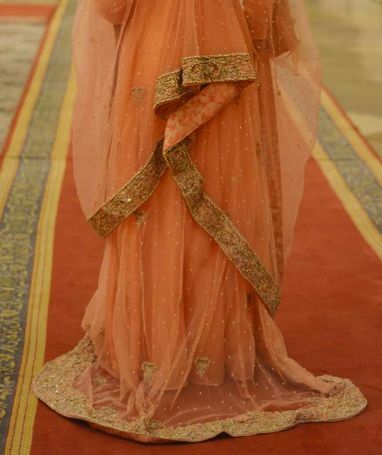 Coral/peach coloured full length net gown with tail, with detailed, excellent quality work on the front and back of the dress, and the dupatta. Original worth of dress is 180k and only selling because of moving to a different country, for height 5 ft 4 and above.